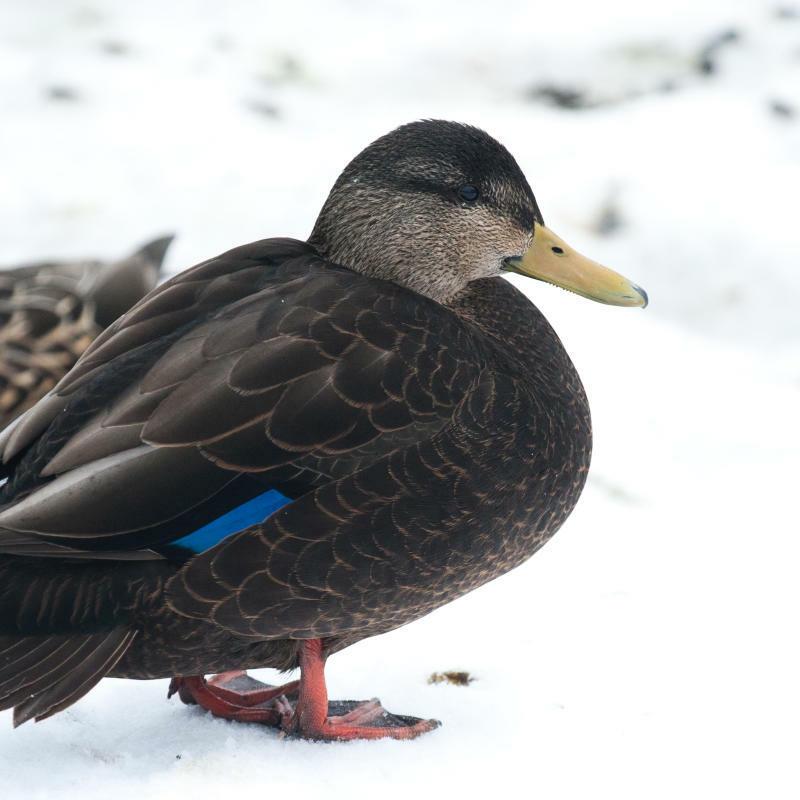 The Black Duck is one of the largest and wariest of ducks. The sexes are similar in appearance. 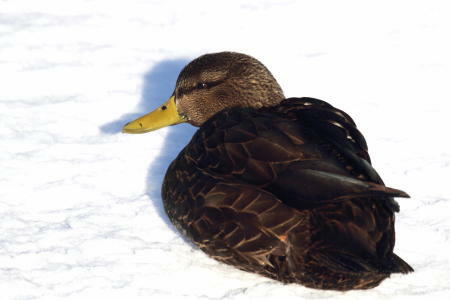 A Black Duck can be distinguished in flight by the white underside of the wings contrasting a dark body. These hardy birds overwinter in the thousands in the estuaries and salt marshes of the Maritime Provinces.